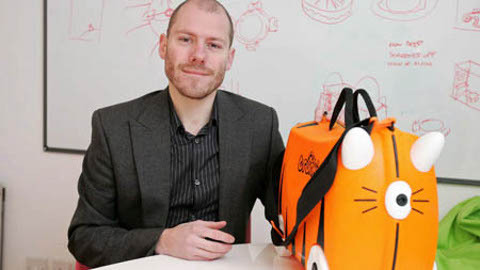 My interview with Trunki founder, Rob Law, is now online. | How Did They Do It? My interview with Trunki founder, Rob Law, is now online. Despite receiving a grilling in a 2006 episode of Dragons’ Den, Rob’s company has gone from strength to strength, prompting Duncan Bannatyne to comment that Trunki was the “one that got away”. You can read part of my interview with Rob here.